Oklahoma fossil record: Only two classes, Chlorophyceae and Ulvophyceae, are reported. Fossils of Chlorophyceae are very, very small and easily overlooked from Cretaceous rocks. Fossils of Ulvophyceae are larger and frequently found in Ordovician through Devonian rocks. 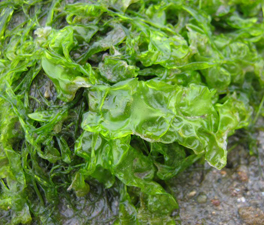 Receptaculids that are sometimes classified with ulvophyte green algae, but their relationships are not well known. Receptaculids are found in Ordovician through Devonian rocks in Oklahoma. “Green algae” is a collective term for several groups of organisms that are not closely related to each other. 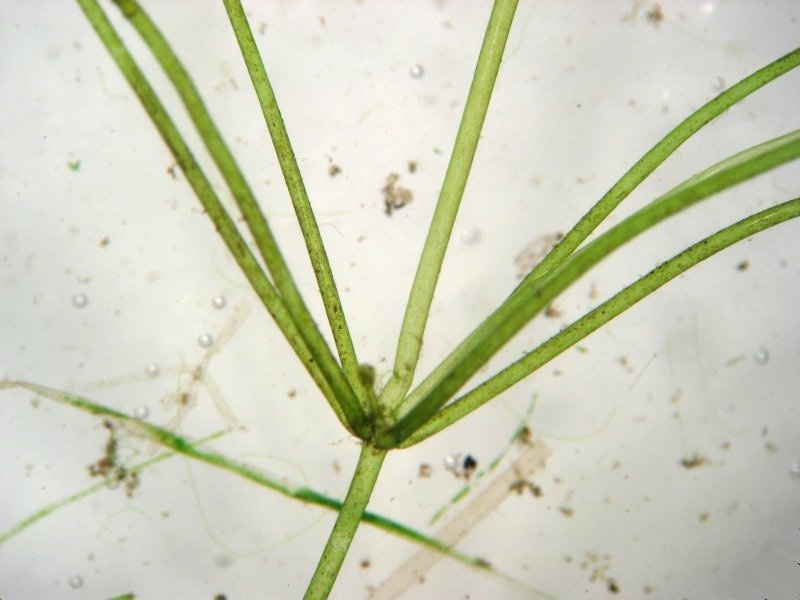 For a botanist, green algae are those green plants that are not land plants. 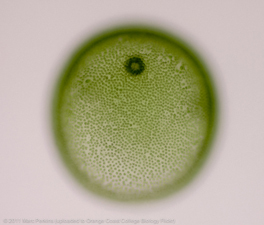 Green algae include forms that are single-celled, multicellular, colonial, filamentous and even endosymbiotic. Living members of this group live in freshwater (lakes, ponds). 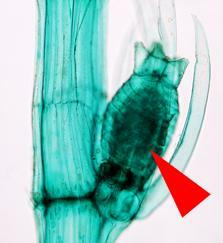 A specialized structure, called an oogonium (red arrow), contains the egg during reproduction. 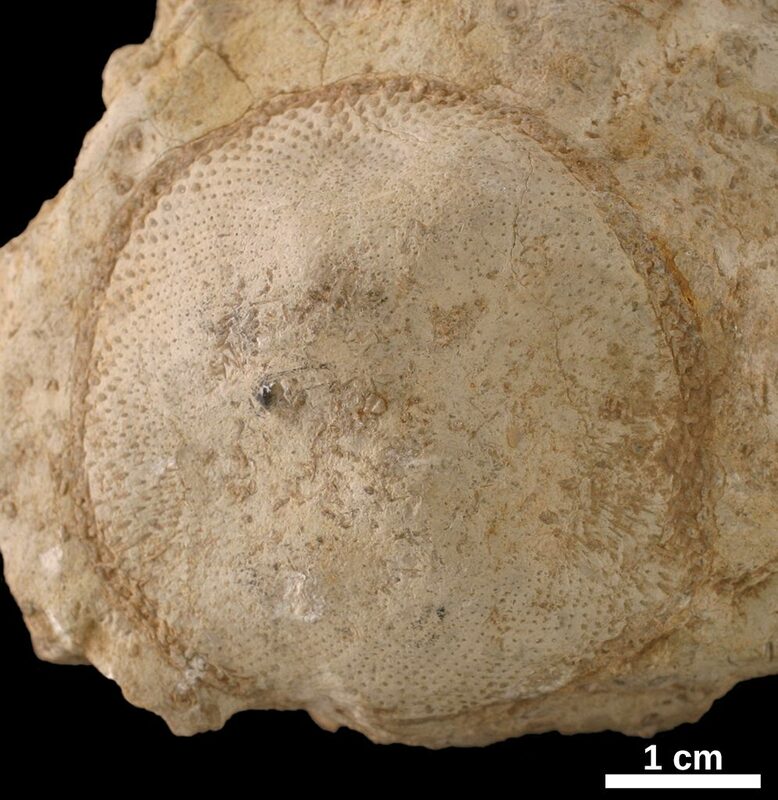 Casts of oogonia are frequently the only fossil evidence of this group. Charophyceae is considered to be the closest relative of land plants. Living members of this group are dominantly saltwater, with just a few species in freshwater. 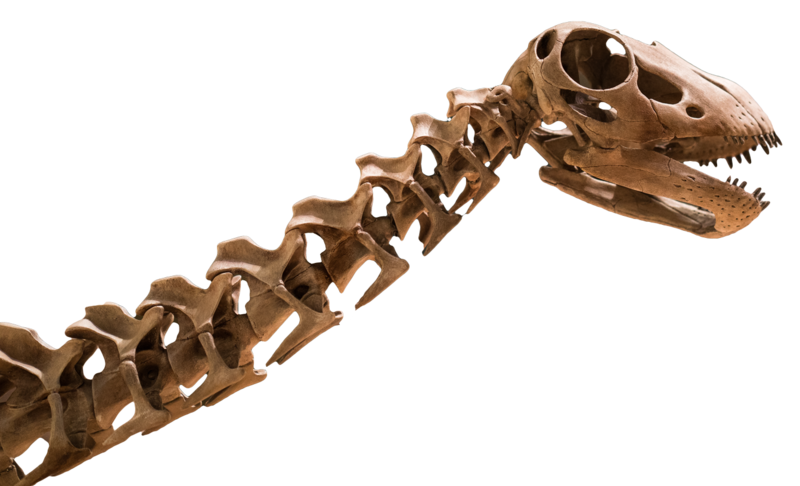 Many species produce a hard mineral coating or skeleton that improves the odds that they will leave a fossil record. Ischadites is a receptalculitid alga reported only from Ordovician rocks in Oklahoma.